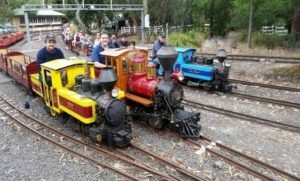 Today we are off to Diamond Valley miniature railway. Today is one for the kids and kids at heart, so give the classics a rest today and put the children, grandchildren or great-grandchildren in the modern car and join in the fun. Anybody two to eighty-two will enjoy this place! 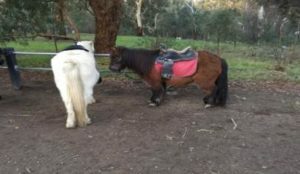 It is situated in Eltham Park and onsite there are BBQs, Shetland pony rides, an adventure playground, and the miniature railway. And for those wanting a peaceful walk, yes, you can have that as well. 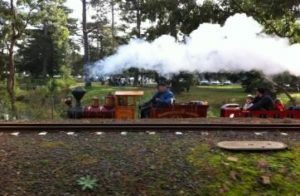 Train Rides are $3 a ride per person for a 15 minute ride, which takes you right around the park. There are many different trains – steam, diesel, locomotives, and passenger electrics -so one ride might not be enough. There is no food onsite to buy so this is definitely self-catered BBQ or picnic. Bring food, bevridges, chairs, and picnic rugs.